Once again, the United Nations' General Assembly meeting in New York City has become a forum for calls for drug reform. Leaders from Latin America took the opportunity this week to criticize drug prohibition and challenge the world body to come up with better alternatives. "Right here, in this same headquarters, 52 years ago, the convention that gave birth to the war on drugs was approved. 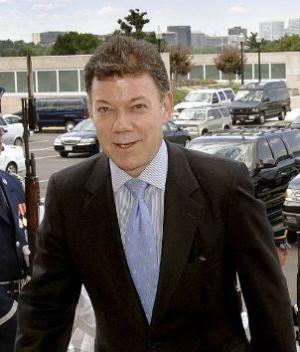 Today, we must acknowledge, that war has not been won," Colombian President Juan Manuel Santos told assembled world leaders Tuesday, referring to the Single Convention on Narcotic Drugs of 1961. "And I say this as the president of the country that has suffered more deaths, more bloodshed and more sacrifices in this war, and the country that has also achieved more results in the fight against this scourge and the mafias that underpin it." The Colombian president's remarks echoed those he made last year at the Summit of the Americas, which commissioned the Organization of American States to study new approaches to dealing with illicit drugs. That study was issued in May, and Santos said the UN should give it serious consideration before a General Assembly Special Session on Drugs set for 2016. That session was proposed by Mexico and accepted by the General Assembly. Also on Tuesday, Costa Rican President Laura Chinchilla said that her nation "joins the call from other States from our region, such as Mexico and Guatemala, to reevaluate internationally agreed-upon policies in search of more effective responses to drug trafficking, from a perspective of health, a framework of respect for human rights, and a perspective of harm reduction." That language is from a consensus statement elaborated and agreed on by Santos, Chinchilla, Guatemalan President Otto Perez Molina, and Mexican President Enrique Peña. On Thursday, it was Perez Molina's turn. A former general elected to office on a promise of taking a hard-line against organized crime, Perez Molina last year became the first sitting head of state to call for legalizing the illicit drug market. This year, he was still singing the same tune. "Since the start of my government, we have clearly affirmed that the war on drugs has not yielded the desired results," Perez Molina told the General Assembly. "We cannot keep on doing the same thing and expecting different results." Instead, global leaders must seek new approaches to drug use centered on public health and prevention and designed to reduce violence and respect human rights, he said. Perez Molina also praised voters in Colorado and Washington for their "visionary decision" to legalize marijuana and praised President Obama for "respecting the voice of the citizens of Colorado and Washington, to allow these innovative experiences to provide results." Perez Molina lauded Uruguayan President Jose Mujica for proposing marijuana legalization legislation there "instead of following the failed route of prohibition." That bill has passed the Uruguayan House and is expected to pass the Senate easily next month. Perez Molina and Mujica also met Thursday in a private meeting. Mexico's Peña Nieto canceled his appearance at the UN to deal with the aftermath of the killer hurricanes that swept his country last week, but his foreign minister, Jose Antonio Meade Kuribena, echoed the language of the other Latin American leaders, adding that the consensus statement was also supported by Chile, Paraguay, and others. The calls for reform from the Latin Americans, whose countries have suffered some of the gravest consequences of the war on drugs, are growing ever louder, and it now appears that the 2016 Special Session could see real fireworks over the issue. If the Special Session happens, that is -- while the General Assembly has approved it, the UN Office on Drugs and Crime is opposed, and the International Narcotics Control Board is resolutely oblivious. The international drug trade was a legitimate enterprise for centuries... I don't know how the US managed to convince the entire world to adapt this bloody and violent prohibition, but it's turned the once-legitimate into a series of crime syndicates, and caused all sorts of nasty, blood-thirsty drug runners to pop up all over the world. Lesson learned. Something that's been done for thousands of years in human culture isn't going to "go away" just because you decide to try. The illicit drug trade will never die, as long as there is significant demand, which there always will be. Harm Reduction should have been the goal from the very beginning. How many millions across the world died due to the global war on drugs? I applaud these leaders in stepping forward. Their predecessors just marched to the beat while their countries suffered needlessly. There was a time when countries within Latin America kowtowed to everything the United States did or demanded. Those days are gone. Much of the loss of U.S. influence in Latin America is due to the drug war, in particular the para-espionage activities of the DEA. Chevron oil spills are bad enough without American prohibitionists demanding that Andeans be prosecuted for chewing coca according to their native customs. Bolivia ended the coca prohibition and the U.S. burst a blood vessel, eventually messing with President Morales’ jet on a Euro-zone flight because some government jerk thought Edward Snowden was using the plane to make his escape. When the United States sent alleged terrorists overseas for torture interrogation after 9/11, about 50 countries throughout Europe and North Africa cooperated. To their credit, no Latin American country participated in the U.S. rendition process. Presently, U.S. moral leadership in the world is squat, and we have the drug war to blame for a big part of it. A country that mistreats its own people is likely to mistreat everyone else as well. Rebuilding international relationships will need to begin by ending the drug war. Perhaps Latin America can show us the way. "Drug wars" are a special case of war in general. Governments ARE organized crime, controlled by the best organized gangs of criminals. All of the words about "freedom and democracy" were mostly lies to conceal what was really happening. The most important facts are that the money supply of almost all countries was privatized. The biggest gangsters are the banksters! The major fault lines in geopolitics follow the lines over how their banking institutions operate. The countries which have more public central banks are lining up against those which have more de facto privatized central banks. The countries which are the least cooperative with the globalized system made and maintained by the international banksters are the ones most targeted for regime change and being attacked. THAT is the bigger context which is necessary to understand the real history of the drug wars. ONE MUST FOLLOW THE MONEY TO ITS SOURCE! Furthermore, the most important aspect of doing that is to follow the money through the ways that the political processes were funded, because the funding of politics provided the maximum possible leverage over controlling its outcomes. The drug wars, which are 75% against marijuana, were deliberately designed by the banksters, for their benefit, because they profit from every evil thing that they can get away with doing. In general, wars are the harvest of the bankers. Wars are a racket. Wars are usually started and won by those are the best at deceits. Therefore, the truth tends to be the first casualty of war. Of course, all of those general observations apply to the drug wars. The basic systems is debt slavery, backed by wars based on deceits. The biggest banks skim the cream off of the illegal drug businesses, by laundering the profits with relative impunity. The drug wars are deliberately designed to provide excuses to build a fascist police state, because the banksters' fascist plutocracy systems needs that to protect itself, and advance its overall global agenda. THAT IS NOT AN ACCIDENT! However, things are getting so bad that even somebody like the President of Columbia, which was one of the worst hit participants in the drug wars, is saying things like in this article above. But nevertheless, his statements continue to be way too superficial. It was BECAUSE hemp is the single best plant for people, for food, fiber, fun and medicine, that the laws became based on the assertions that "marijuana is almost as bad a murder." The bigger the lies are, the better they work as propaganda, to divide and conquer. In order to understand these things on deeper and deeper levels, one must go through a process of understand how and WHY the best organized gangs of criminals were able to make and maintain the entities which we call "governments." Furthermore, one should not stop at any more shallow levels of understanding regarding those phenomena. One should stop using false fundamental dichotomies, and their related impossible ideals. Instead, one should follow through with unitary mechanisms regarding how human behaviors create human realities. Understanding the "drug wars" is a special case of understanding warfare in general. There are profound paradoxes that warfare was the oldest and best developed social science, whose success was based on deceits. Militarism is the supreme ideology. The central controls to human ecology are the death controls, because they MUST BE. The history of War Kings morphed to become the Fraud Kings, the international bankers, who effectively controlled countries by controlling their money supplies, by dominating the history of the funding of politics, in order to end up controlling the politicians who are almost all the banksters' puppets, who real jobs are to fool the masses of muppets. Within that overall context, the war on marijuana is merely the single simplest symbol, and the most extreme particular example of the general pattern of social facts. OF COURSE, THOSE HUGE LIES ABOUT "MARIJUANA" HIT LATIN AMERICA HARDEST! AFTER ALL "MARIJUANA" IS A SPANISH SLANG WORD, THAT WAS SUBSTITUTED FOR THE ENGLISH WORD "HEMP."